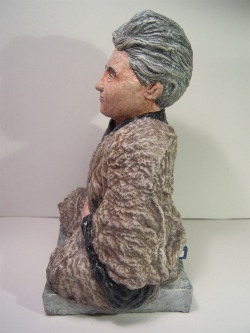 ZINN MONK - Additional Views - Just Say Gnome! 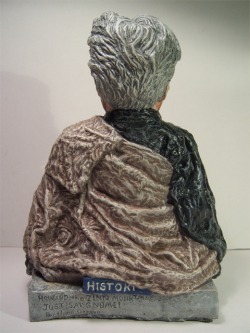 The celebrated ‘historian of the people’ meditating on history like you’ve never seen him before! Howard the Zinn Monk provides a peaceful and centered anchor amidst the often turbulent and chaotic onrush of world events, and helps to bring a more insightful historical awareness to any home or garden. 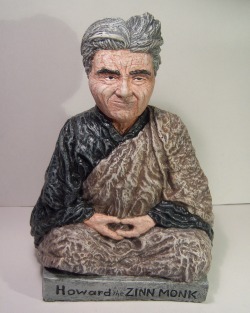 With his characteristic wild flying hair and considerable eyebrows the Zinn Monk is clothed in the traditional flowing robes of a Zen roshi, and sits resolutely in a Zen meditation posture – with his legs crossed and his fingers and hands connecting to form a circle – the classic symbol of the infinite. Pricing: The Zinn Monk is $70 unpainted and $165 for his painted version.